Nestled in the heart of Hampshire but barely 40 miles outside London, West Green House offers the country house music experience at its original and elegant best. Fully professional productions staged in a specially designed theatre with comfortable seating and superb acoustics, fine dining by Royal caterers Mosimann’s, a Lakeside Pavillion for less formal events all set in breathtaking gardens which are open exclusively to the opera audiences during every performance. This year’s productions include Mozart’s perennial favourite The Marriage of Figaro and the Richard Strauss’ classic Ariadne auf Naxos in a stunning new production featuring acclaimed Australian soprano Rebecca Nash in the title role. Both productions feature casts of established and emerging artists with creative teams led by Opera Project whose work is known and appreciated by opera audiences across the country. As night falls the beautiful West Green Gardens are specially illuminated, offering a unique spectacle to enjoy at the conclusion of the theatre performance. Picnics are encouraged, with Raj tents dotted around the Lakefield set for you and your guests. A fully stocked Champagne bar is on hand and you can even pre-order your picnics from Pepé Hudson, ready to be collected on site in its beautiful wicker hamper. During our afternoon performance of The Marriage of Figaro, why not treat yourself to a delicious afternoon tea in the long interval, prepared with care and imagination by the chefs in the Garden Tea Room? For full details of the West Green House Opera Season and tickets, please visit the website. West Green House is approximately 10 minutes from junction 5 of the M3. Address: West Green House, Thackhams Lane, Hartley Wintney, Hants RG27 8JB. Sorry, this prize draw has now closed. 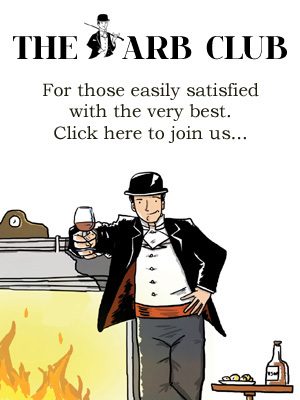 To be informed about future high value prize draws, please join The Arb Club.